Journalism students of colour say they don’t see themselves represented in Canada’s media landscape. Journalism and the media play a major role in forming a national identity and informing the public about what’s important. That is why Rohit Joseph, who is currently in the Masters of Journalism program at The University of British Columbia (UBC), says that people of diverse backgrounds play an important role in the media. Joseph and his family moved to Vancouver, British Columbia from New Delhi, India when he was nine years old. The 23 year old has spent most of his life in Canada and identifies as Canadian. “If the news media and political establishments want to improve their relationship with the diverse ethnic communities that make up this nation, we need qualified journalists from these communities to represent them,” he says. 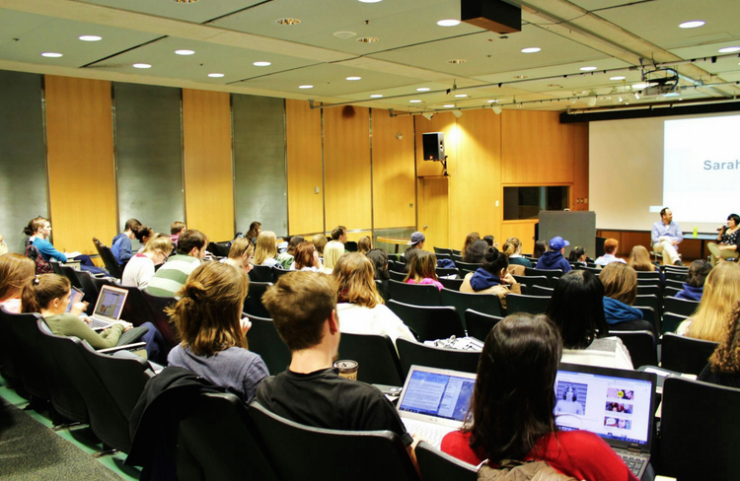 Joseph’s UBC classmate, Jessica Quin (a pseudonym), says that journalism as a whole doesn’t accurately represent Canada’s diversity and that there’s more work to be done – and it starts in the classroom. “Ethnic diversity in journalism schools is not only important, it is absolutely necessary in an ever-changing Canadian multicultural landscape,” says the 24 year old. Journalism programs, like all other post-secondary programs, have a responsibility to produce graduates of all ethnicities. Failure to do so is a “disservice to the country” according to Carleton University journalism student Jolson Lim. In the United States, a survey from the Grady College of Journalism and Mass Communication found that approximately one out of every four students majoring in journalism or communications is a visible minority. In Canada, according to Humber College journalism program coordinator Dan Rowe, it seems that while there is a considerable number of visible minorities graduating from j-school, they aren’t the ones being hired. Quin says hiring challenges are something she hears of often from friends already working in the industry. Continue reading this story on the New Canadian Media website.